Today, we’d like to introduce you to a fellow Kitchen Chick, Sydney Anderson. Sydney is from Texas and currently studies at Le Cordon Bleu. She is a fabulous baker and can make ANYTHING taste delicious. (Trust us! We’ve had her pecan pie and it’s to die for!) As head baker for a dallas-area bakery, Sydney has perfected her process down to a literal science, so when she presented the idea of baking for Kitchen Chicks, we JUMPED on the opportunity. How could we not? 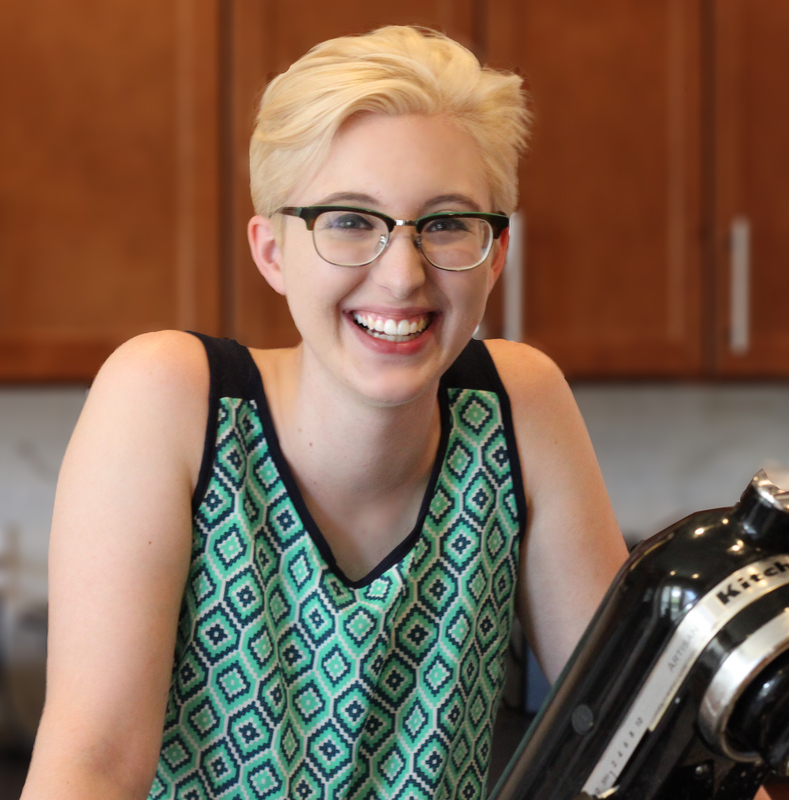 “I asked one of my mentors, Chef Choe, for the best dessert recipe in the Bleu Ribbon Kitchen files and he suggested the Italian Hazelnut Cake,” said Sydney during one of our kitchen chats. Chef Choe was right! You guys are going to LOVE this recipe. This cake is delightful and comes with a simple syrup topping that was perfect! We ate the entire pan in one sitting. Feeling fat later was totally worth it for this warm and comforting cake. Not only is the taste perfectly balanced, the difficulty level is not advanced. Anyone with a bit of experience should be able to make this cake and love the outcome. NOTE: If you’re interested in making this recipe at Le Cordon Bleu, make sure to check out the school’s Italian Series Workshops. “Something to remember about this recipe is that you will need toasted hazelnuts to make this work. 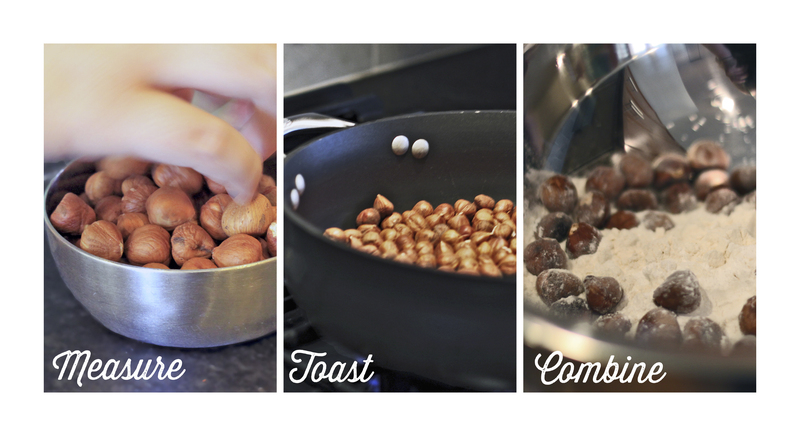 You can toast the hazelnuts in the oven (which takes a bit longer) or in a pan,” said Sydney. The shells should start to crack a bit and the color will be a slightly darker brown. Then, add them to the flour according the recipe. It was great having Sydney in the kitchen to cook with us and give us pro tips along the way. If you’re interested in making this recipe, and reading detailed instructions with photos for the process click here. 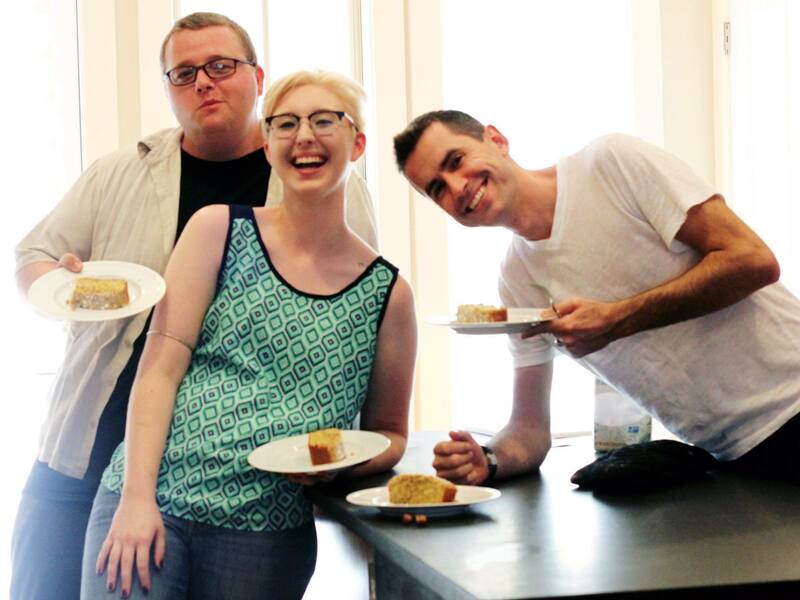 Here are the guys with Sydney enjoying the cake. Have you ever made something like this before? Let us know in the comments!